"Dr. Holtzman shows concern for my condition and takes the time to help me make a life plan to get better. She answers all my questions in a way I can understand. she is warm and friendly." "Very good that all staff worked together and in a timely manner." "Dr. Holtzman is outstanding in every way. I'm so fortunate to be in her care. She's an excellent cardiologist who is caring, compassionate and responsive to all my questions and concerns - which go way beyond heart issues." "Dr. Holtzman takes very good care of you as if you was her parent." "Dr. Holtzman listened to my concerns without becoming alarmist or undermining my anxiety." "I view Dr. Holzman as exceptional. She has shown concern for health related issues such as a periodontal issue and nutritional diet and made recommendations concerning them. I am grateful to be in her care. I am confident about her knowledge and treatment and find her to be very personable." "offered recommendation for cardiologist to friend who had been taken to Lenox Hill hospital. He told me doctor who took care of him was terrific. Her name is Dr Holtzman"
"Dr Holtzman is the best! I wish my other doctors were as caring, thoughtful, attentive, insightful, trust-worthy as she is, consistently and genuinely!" "Dr Holtzman is a very knowlagable Dr. Holtzman is a very experienced and proficient medical professional"
"For Dr Holtzman there should be a higher category than "Very Good." She is what American medicine, at its best, used to be -- and in increasingly rare instances, still is. She pays attention. I did not feel as if I were a cog on an assembly line. Dr Holtzman inspires confidence and trust -- because she knows her field, is clearly up-to-date in cardiology, and TALKS to the patient about what's going on (analysis, treatment alternatives, risks and rewards). There aren't many like her!" "Dr. Holtzman is great. She explains everything to me in words I can understand. I feel she take a personal interest in my health." "my confidence level in dr holtzman is 10"
"Great doctor - The best most informative doctor. "Fantastic."" 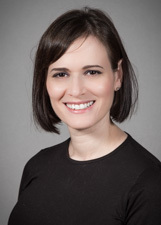 "Dr Devorah Holtzman is exceptional. She pays attention. She gives you the feeling that you are the most important person in the world. She is clearly (but not offensively) very knowledgeable in cardiology -- that is, she inspires trust and confidence. You could entrust your life to her. I do." "Knowledgeable, concerned, & personable. Excellent care"
"The finest Dr. Holtzman & Dr. Romanello are the best." "I like Dr. Holtzman. She is very professional and knowledgeable. " "Dr. Holtzman is professional, friendly and inspires confidence. Always courteous and very responsive to calls and concerns. Feel very fortunate to be in her care." "She is my heart doctor? ?There is not a body part that I mention that she does not help answer or recommend aother CARING doctor that I may go to to follow up if I choose. Dr. Holtzman is a young, compassionet, listening and hearing doctor.Throughout my maybe 15 years of health care from Lenox Hill/ Northwell facilities this has been my best. My 5 ratings in each area have been honestly earned"
"I'm exceptionally pleased with the care, expertise, & personal interaction with Dr. Holtzman." "Dr. Holtzman is one of the most professional medical specialist that I have met - and I have a lot of doctors in my fmaily." "dr Holzman is a profesonal one!" "I will recommend Dr. Holtzman and staff, to all my family and friends." "Dr. Holtzman is a serious effective no-nonsense doctor." "A very caring, knowledgeable and a efficient." "Extremely competent, knowledgeable, pleasant always gives me all the time I need. A great doctor!!!" "Dr. Holtzman very caring! " "My experience with her is excellent. 9 & 10. Good. " "Dr Holtzman is excellent. Obviously knowledgeable, has great 'bedside' manner, informative and can discuss any issue." "Dr. Holtzman was everything I could hope for in a cardiologist, warm, patient, caring, understanding & very helpful." "Dr Holtzman is a very caring person"
"My mother is 88 years old, she has seen many physicians in her life. She has never been happier with a doctor than she has with Dr. Holtzman." "I feel very lucky that Dr. Pamoukiam recommended Dr. Holtzman." "Dr. Holtzman is a very caring doctor very time I have been to her, I go home satisfied of her care."